Ah, thou mysteriously-named and devastatingly good pastry, thou tartlet! In addition to the satisfying “jes’ pie” myth of the pie’s name-origin, there are, in fact, several other contending explanations (none of which concern the game of chess, as it happens). One is that it’s the archaic form of the word ‘cheese,’ though chess pie, of course, has no cheese in it—either the recipe evolved from an English recipe for cheese pie, or ‘cheese’ simply referred to the filling’s curdlike texture (etymologists point out that other recipes follow this format—namely, some cheesecakes). Other pie historians say the recipe originates in Chester, England; another charming explanation is that it is named after a breadbox-type furniture once popular in the South—a pie chest. (“Ma, where’d you put the chest pie?” “in the pie chest, dear.”) The name supposedly dropped the “t” once pie chests went out of fashion. I once wrote a spoken-word poem about New-York-midwinter nostalgia for the South that said ‘whatever button she pushes in the ballot box / my mom can make pie out of only eggs, sugar and butter!” Which is more or less accurate. You’ll find many variations on the ingredients of chess pie and their quantities, but the one that’s always worked out best for me is the one my mom gave me, featured below. Actually, it’s pretty hilarious, because I’ve tried many other combinations of ingredients and amounts, and this one always comes out the best (by far)—but the quantity of filling it produces is never right. It’s not quite enough for two full pies (they come out deliciously but fairly shallow), but it’s definitely too much for one. I’ve tried reducing all ingredients by a third, but it doesn’t come out right then, either. The best results happen, frankly, when you make one and use the rest of the filling for tartlets (or, if you’re brave about eggs, eat it guiltily with a spoon). Add sugar, cornmeal, and flour. Remove from heat. 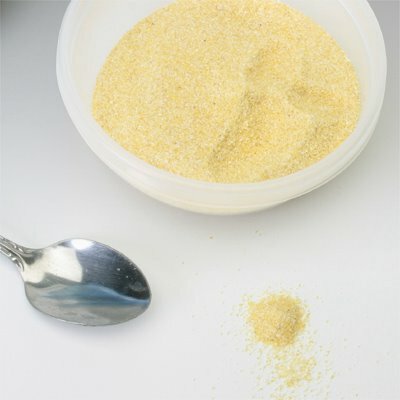 Combine beaten egg yolks and milk; add to mixture in saucepan, blending well. Pour into unbaked pie crusts. Bake for 30-45 minutes (It really does vary quite a lot from oven to oven; this is a pie you’ll want to watch carefully). 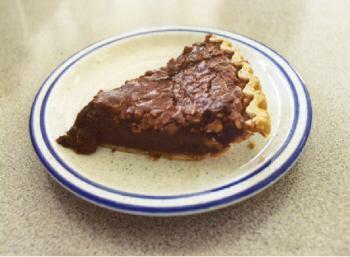 Check pie often because the top may brown too quickly. If so, place a cookie sheet on rack directly above pie and continue to cook until pie is done (Cornmeal rises to top of pie, forming a thin, crisp crust). Variations on the pie are deliciously endless. 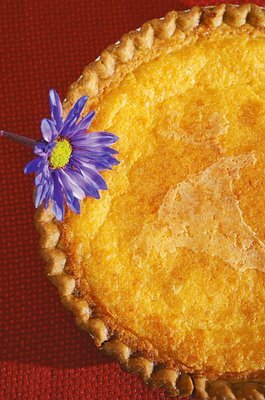 Lemon Chess Pie is a popular favorite, as is Chocolate Chess pie. I’ve made both, and enjoy them, but nothing beats the original thing. Recently I made a lemon chess pie with a new recipe; the flavor was delicious, but I thought the cream and egg whites made it a little too smooth, and without as much cornmeal it lacked much of that wonderful gritty crust I like so much. Many chess pies often include corn syrup, like pecan pie filling; I think the flavor is too distinct, it makes the texture weird, and do not recommend this. One last warning before you put that first, buttery bite in your mouth—it is possible to eat a whole chess pie in one sitting. I would know. In fact, I think that’s why Mom’s recipe is supposed to make two—so we can each have one. I don't think I've ever had chess pie with you and your family... but now I want some chess pie. Just so I can keep saying chessssss pie. Beautiful.. Thank you for reminding me of this wonderful pie. I grew up eating this pie. It is just so good. I'm enjoying your blog (as I'm originally a Mississippi girl, I appreciate the down-home flair). Lemon chess pie is one of my alltime favorite desserts, but my mom likes it plain, just like the one you've posted. 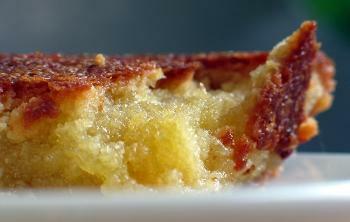 I LOVE Chess Pie! Your's looks delish! I think I'll make that next time we want something ooey and gooey and good. mmm cheese. and lemon. but that cheese pie looks goood. well done.